I lost weight in 2009 and it was a total mindset shift. I’ve kept it off ever since and have continued to work on a strong and balanced physique. No crazy, long hours in the gym, just consistency. I don’t have perfect nutrition but it is consistently good which has been the biggest contributing factor to staying lean. I needed help in the beginning of my journey to make a complete change in what I was eating. I needed the structure and I needed a plan so I did that. I learned from it, was inspired to maintain a healthy weight, and I have allowed it to be an exhilarating journey. I mainly choose good over perfect which has really helped me to keep a balanced perspective. My biggest hope is that you are inspired by what is possible and dedicate yourself to moving toward that every single day, learning to rest but never to quit. For years I tried working out, running and other types of cardio to lose weight. Problem is, I’d start feeling mentally better but my weight really didn’t change much. Workouts were not an effective fat loss tool for me. They still aren’t. I 100% needed to focus on overhauling my nutrition before I got results. Once I did that it was like night and day. Finally having weight loss success completely shifted my thinking once I started my fitness journey. * It was exciting for once. 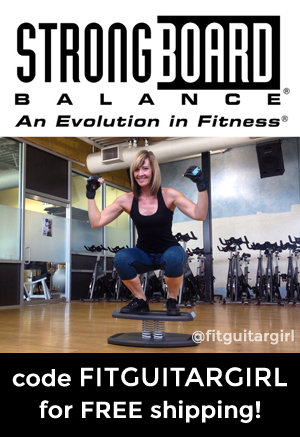 I was training to sculpt, build muscle, endurance and stability. Before that, workouts were almost more a form of self-loathing and at best a hamster wheel. *To learn more about what I did to lose 30 pounds in about 14 weeks click here. Have you ever been really inspired by someone’s weight loss journey or physical transformation only to watch them over a period of time regain weight, return to old habits and lose their progress? We see people here and there who have success. We’ll even take the leap and ask, “how’d you do it?” but then we take a few steps back to observe for a while. We’re skeptical so we’ll wait and see where they are a year from now, or a few years from now. We are wary of being inspired at first only to have this short-lived hero let us down. Many of us have plugged our ears to the coaches, trainers, nutrition programs, systems and special methods. It all starts to sound like construction noise outside your bedroom window at six o’clock on a Saturday morning…not exactly inspiring. What is it that you really need to know? You have to actually be excited about changing. That might seem like a simple notion but most of us would rather stay in our comfortable expectations rather than consider change, let alone be excited about it. It’s way easier to just keep doing what you’ve always done. You can’t start in on change by running away from something. Don’t treat your weight loss journey the same way you would a race against a grizzly bear. I’m pretty sure there’s never been a person involved in a foot pursuit who simultaneously contemplates their long-term goals. Plan on dealing with your own psychology more than your physical methods. If you don’t care to study your mind or how it affects your behavior, you’re not going to get the results you want. Learn to rest, not to quit. There have been days I’ve felt like giving up. I see the meme floating through my head, “No days off.” Guess what? That’s BS. Sometimes you need to take a day off. It might be for physical reasons but there are plenty of reasons that we also become emotionally, intellectually or spiritually overwhelmed. On most days, eating healthy and continuing a workout works wonders for all that stress and anxiety, but every once in a while you may just need to take a break for whatever reason. Keep those times to a day or two. Learn to rest or modify. That’s not the same as quitting. There are people who are ideal candidates for different types of programs. For structured nutrition programs that provide some coaching support (not necessarily extensive), the ideal candidate will need to lose somewhere between 5 to 40 pounds. That’s maybe a little less for some women and a little more for some men. For anyone who’s in a position of needing months and months of structure to get to a weight loss goal, there are going to be far more mental and emotional hurdles. Plan in advance to layer your support system. Even if it’s going to cost you more in the short term to see a therapist or counselor, I believe it will be far more cost effective and efficient to get additional support. Once you get realistic about what it’s going to take to achieve your weight loss and fitness goals, it will allow you to begin losing the skepticism about your ability to progress. I’ve maintained a healthy weight since 2010 which has given me a lot of time to think about what it is that drives me to stay focused and see my goals as a continuous progression rather than a finish line. I’ve been a certified health coach since 2010 and have helped hundreds of people through their weight loss journeys. Connect with me if you’d like to talk about getting started on yours!